Tuscany is the land of wine, it’s well known. What you may not know is that “the nectar of the Gods” is not only a delight to be tasted in a glass, but it is also a powerful ally of your beauty and well-being. Read on to find out what wine therapy is and to discover the best places to do it in Tuscany. Wine therapy – or vinotherapy – is a treatment dedicated to the health and well-being of the body that uses the beneficial properties of grapes and its derivatives. In fact, wine has relaxing, detoxifying and tonic characteristics, thanks to which it can be used in different ways within a beauty path. Wine therapy has very ancient origins – Arabs, Greeks and Romans practiced grape-based treatments – but the modern trend developed thanks to Matilde Cathiard and Bertrand Thomas in the French region of Bordeaux, from which it spread all over the world. The wine treatments mainly exploit the polyphenols contained – which have very high antioxidant power – that have beneficial effects especially on the skin. The benefits of vinotherapy, however, are not limited to wrinkles: the wellness treatments based on grapes help to purify the body and can even be a valuable aid in toning and slimming the body. Also, they help fight stress. But how does wine therapy work? There are different treatments: baths in vats full of wine, scrub and therapeutic massages that take advantage of the properties of the berries, up to treatments with the leaves of the vine or cosmetic lines formulated inspiring to the principles of vinotherapy. 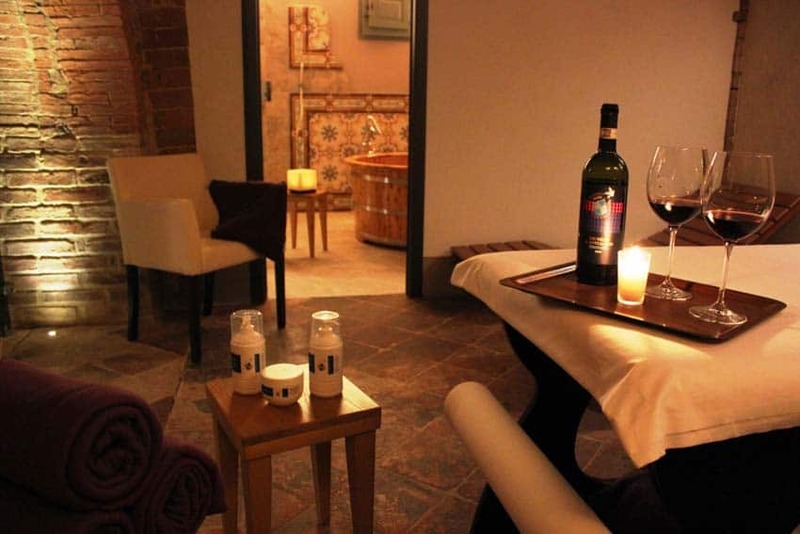 There are many Tuscan facilities that offer the possibility of indulging in a wellness treatment with wine. Chianti, Brunello, Rosso di Montalcino … in Tuscany there is a wine therapy path for every taste! Il Falconiere offers several wellness rituals that take advantage of the properties of fine Baracchi wines: antioxidant bath, regenerating massage, peeling with the marc: all accompanied, of course, by a nice glass to be savored slowly. The red of Montalcino and Chianti are the undisputed protagonists of the wellness treatments studied by the “Fattoria del Colle” therapists: in addition to the baths in the vats here you can find scrubs, massages, face and body treatments performed with the cosmetics line produced on site using biologically grown grapes. 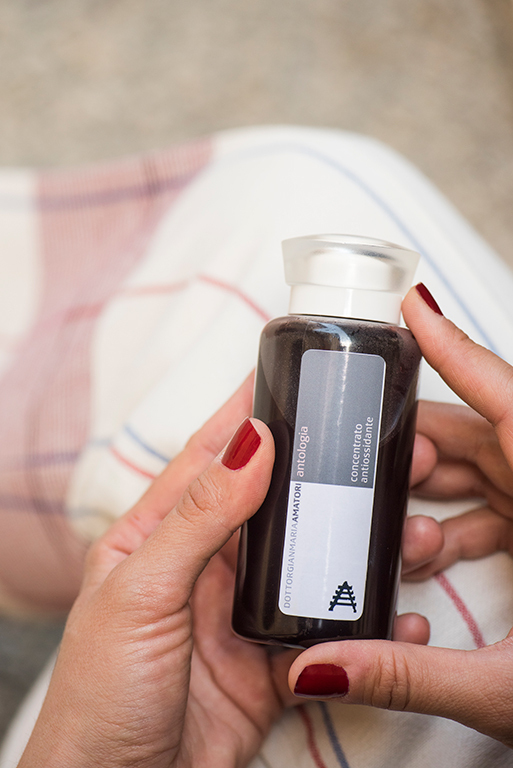 Borgo Scopeto’s wine therapy is a real sensory journey through unique fragrances that envelop the body in a real grape nectar that includes face treatments, exfoliation, massage and immersion in wine. At Borgo San Felice the ritual begins with an exfoliating treatment, continues with the bath in the wine and ends with a relaxing massage with grape seed oil that gives relief and relieves muscle tension. Here, there is no wine to accompany the journey, but an organic grape juice. The SPA make recourse to avant-garde products based on wine therapy formulae, the Antologia line by Dott. Gian Maria Amatori.